Prepare the crust: Place a rack in the center of the oven and preheat oven to 350°F. 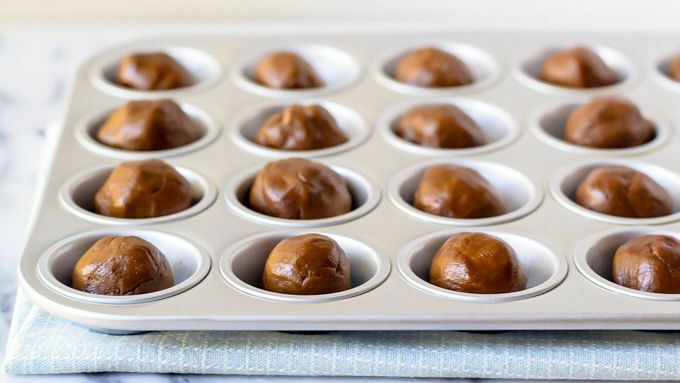 Grease a 24-cup mini muffin tin. Prepare the cookie dough according to package directions, then divide it into 24 pieces and roll each piece into a ball. Place dough in prepared muffin tin cups. Bake dough until deep golden brown and set, about 15 minutes. Remove from oven and use the bottom of a shot glass to make an impression in each cup. Let cool in pan for 10 minutes. With a butter knife, gently remove each cookie cup from the tin and transfer to a rack to cool completely. Meanwhile, prepare the pumpkin spice pudding according to the package directions. Place in the refrigerator to set. Fill the cups and serve: Scoop the pudding into the cooled cookie cups and top with whipped cream and crushed gingersnap cookies. Serve and enjoy. These treats are so cute and easy, you'll want to make them for every party! How does one become the most popular girl at the party? Is it wit? A cute new outfit? Undeniable flirtatious charm? While these methods may work for some, I prefer to go the edible route and win hearts through tummies. 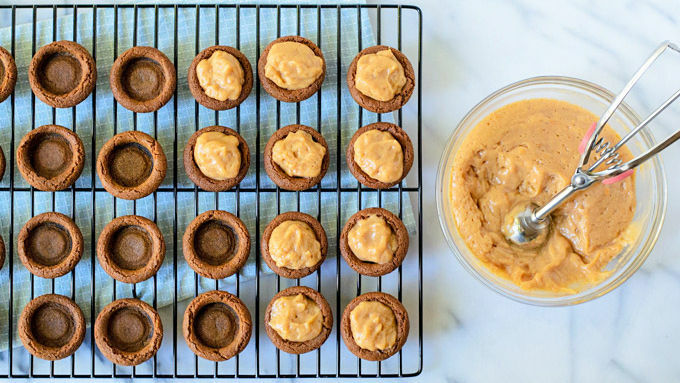 Say hello to Mini Ginger Pumpkin Pudding Pies. Adorably miniature in size, loaded with yummy fall pumpkin flavor, and topped with crunchy gingersnaps, these cutie pies are irresistible! When I’m invited to a party, I often feel pressure to create something complicated that will wow the other guests. I love these mini pies, because they seem as if they take serious TLC but are actually ridiculously easy to make, thanks to two secret baking weapons: Betty Crocker Molasses Cookie Mix and instant pumpkin pudding mix. The molasses cookies (which taste just like an old fashioned gingersnap) become a lightly crispy, buttery, and warmly spiced “crust.” Forget the fuss of cutting pie dough into individual circles—instead, simply mix the dough, roll into balls, and pop them right into mini muffin tins. Cookie crust, accomplished. Once the cookie crust cools, it’s time to fill with creamy pumpkin decadence. Pumpkin spice instant pudding mix takes just moments to stir together, and is a lovely cool contrast with the lightly crisp crust. Like the other pumpkin-spice themed treats popping up in the aisles of grocery stores, it's only here for a short season, so hoard freely. If the cashier gives you a funny look for checking out with 12 boxes of pumpkin pudding mix, hand them a Mini Ginger Pumpkin Pudding Pie. They'll understand immediately. A dollop of whipped cream and shower of crushed gingersnap cookies provide the final flourish to these tempting treats. They're the perfect dessert to whip up for a fall get together or game watch — the only difficult part is not inhaling the entire batch before the party begins. They're just so darn cute! 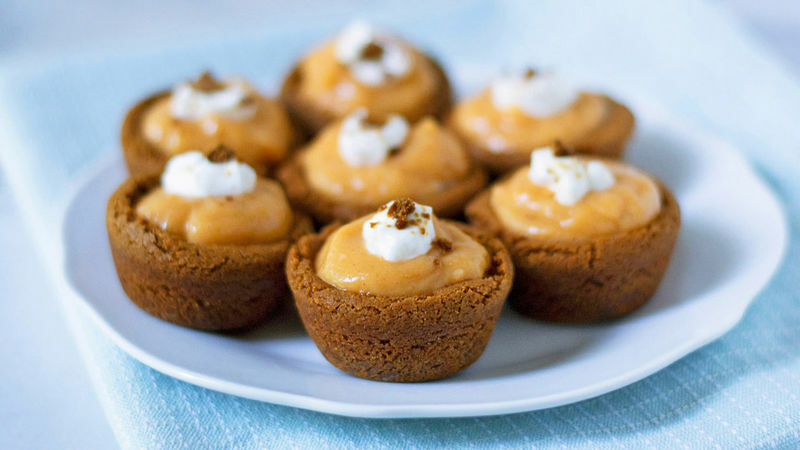 Leave the heels and lipstick at home — Mini Ginger Pumpkin Pudding Pies are all you need to own the party scene!